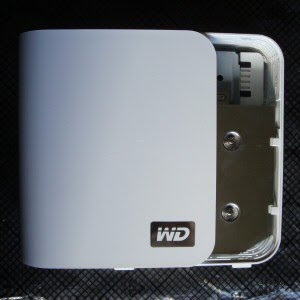 Here is a tutorial on how to open a Western Digital My Book World 2ND Edition (White Light), although I expect that it applies to most of the same edition Western Digital My Book range. Of course you use the information here at your own risk. See also this tutorial, which helped me open mine, I have tried to include a few more details in my explanation. Here are roughly where all of the catches that keep the case locked are (they are duplicated on both sides of the case). I found it easiest to remove the two end clips first. 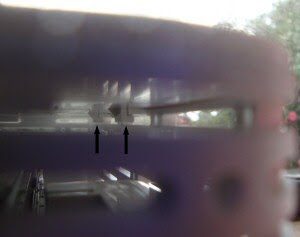 If you look through the holes in the case you can see the two clips (sorry my camera doesn't perform well under these conditions - no manual focus). I used a plastic card (credit card) inserted at the corners of the case and then slid into position. Then pry the clips apart (looking through the end so you can see the clips). Pop all 4 (2 on each side). 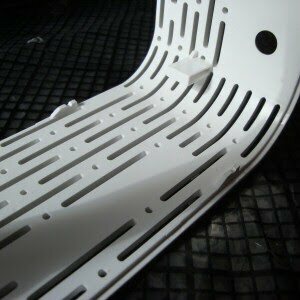 The top and bottom have sliding rails, but they also have little tabs to ensure they don't just slide off. I found it easiest to pop the rails off the tracks again sliding the plastic card in from the corner and then prying them slightly apart and then out to the side (not over to the end). 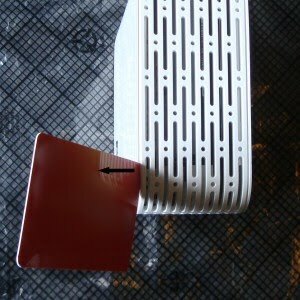 There are then two locking tabs under the front feet, you can depress them with a short thin poker. Be careful not to push to hard as they are made from reasonably brittle plastic. 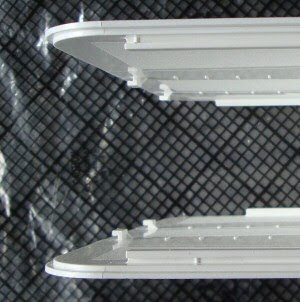 There are also two tabs at the top visible from the outside, by this stage the case should be really loose and so they didn't present much of a problem, but you may need to be aware of them in case the keep it locked up. You should now be able to slide the outer casing away from the inner. I have photos of the inside disassembly, although it is much more straight forward (no sneaky hidden clips and catches). I'll put them up if there is enough demand. • Mine had a light pipe, remove this first, it should just slide out. • Then remove the hard drive and electronics from the caddy (it is just sitting in there, not screws or locking bits). 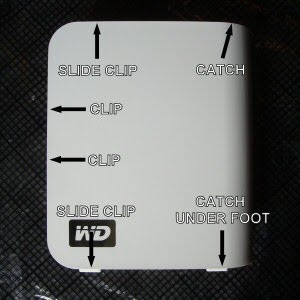 Pop it up at the front (light side) and then slide it forward and out. 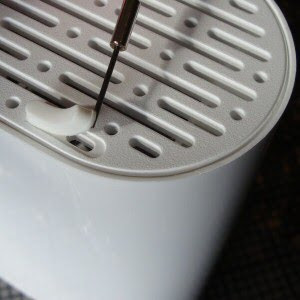 • Remove the electronics by removing the 3 screws and slide the tray to release, this disconnects the hard drive from the extra electronics.